In its endeavor to take Indian motorsports to the next level, ExxonMobil Lubricants Pvt. Ltd., a wholly-owned affiliate of ExxonMobil Corporation, has reaffirmed its partnership with Maruti Suzuki India Ltd. (MSIL) and associated as the latter’s lubricant partner for its hallmark rally – Desert Storm. 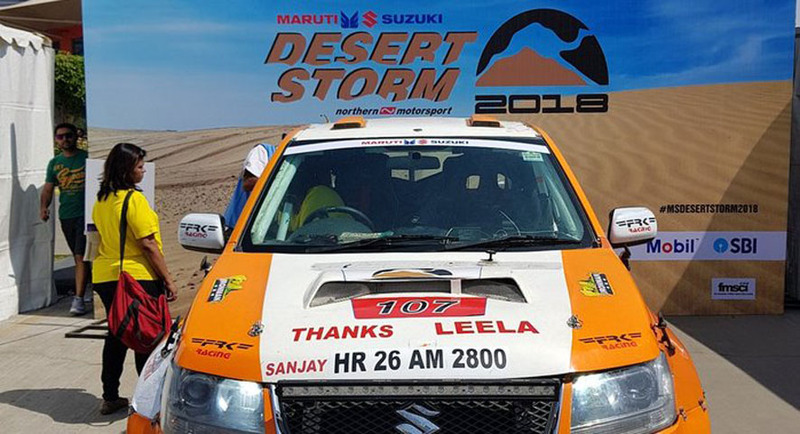 Kicking off the season is the 16th edition of Maruti Suzuki Desert Storm that flags off from Noida on March 18, 2018, and will culminate in the Golden City of Jaisalmer on March 23, 2018, with a prize distribution ceremony. Mobil is the official lubricant partner for the rally. Desert Storm is amongst the toughest, yet most popular rallies in the country given the heady mix of adrenaline-surging driving conditions and spectacular terrain that the drive offers. The rally is divided into four categories: Xtreme, Moto, Ndure and Xplore. Competitors will tackle eleven special stages spread across five days of rallying. The vast salt tracks, sand traps and dunes of Bikaner and Jaisalmer present a grueling set of conditions that test the endurance of both man and machine. With Mobil engine oil under the hood, Desert Storm drivers can rely on the world’s leading synthetic engine oil to deliver exceptional engine performance and protection – even under these extreme conditions. This is also why automotive technicians, race car drivers, team owners and the world’s leading automotive manufacturers can all testify to the advanced technology delivered by Mobil lubricants. Racing provides the Mobil 1 brand the ultimate testing ground to improve the technology in our range of oil and lubricants. Each race season, our advanced products go to work to help improve vehicle performance and efficiency. Mobil 1 full synthetic motor oil serves as the lubricant of choice for many of the world’s top race teams competing in highly demanding motorsports series. ExxonMobil remains proud partners with Stewart-Haas Racing in NASCAR’s Sprint Cup Series; Porsche, Bentley and TOYOTA GAZOO Racing in the FIA World Endurance Championship; Corvette Racing and Porsche North America in the IMSA WeatherTech SportsCar Championship; and numerous teams competing in the Pirelli World Challenge. Along with its status as the Official Lubricant Technology Partner and Official Motor Oil of NASCAR, Mobil 1 serves as the title sponsor of the Porsche Mobil 1 Supercup and the Official Motor Oil of the Sports Car Club of America. Mobil 1 technology is trusted by more than 50 per cent of teams in NASCAR’s top three series.